Tucked into a hillside immediately above the bay in a secluded tropical setting, this delux spacious island villa provides a romantic, elegant, private retreat for its guests. Not surprising, Frangipani-Villa is the choice of discerning clients. This property is appointed with custom furnishings, is completely fenced for privacy and impeccably maintained. It is the perfect hideaway for an intimate tropical wedding, honeymoon, anniversary, or any other special occasion or relaxing holiday. 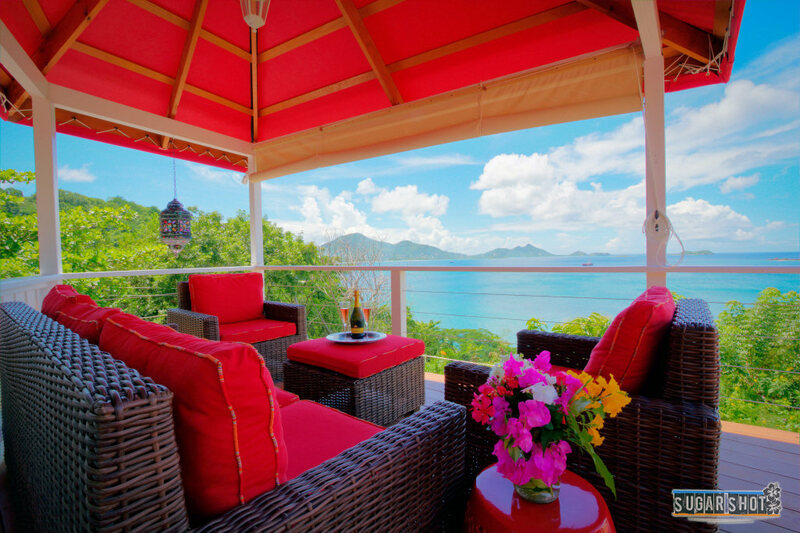 Frangipani-Villa features a spacious, open floor plan, covered patio, sun deck and pagoda to enjoy the spectacular ocean views at any time of the day. There are sweeping vistas across Hillsborough Bay to the uninhabited out-islands and unparalleled sunsets. 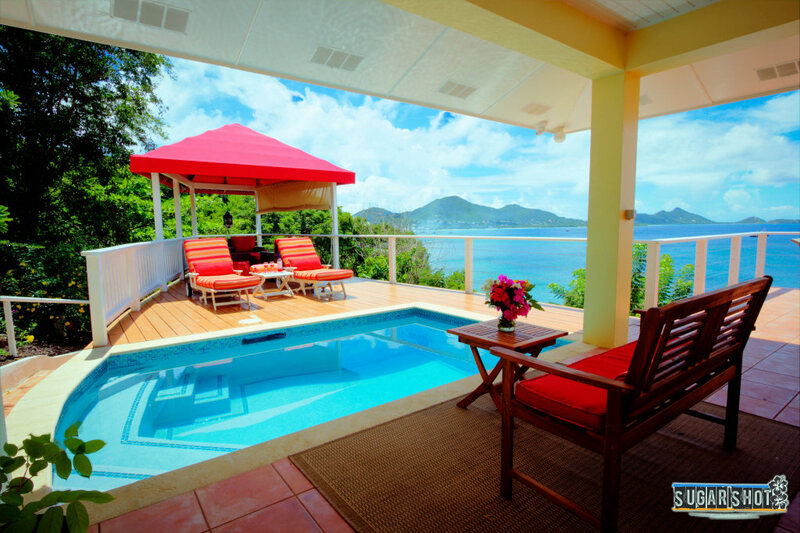 A plunge pool and covered patio adjoining the main living area make this the perfect indoor/outdoor base from which to enjoy Carriacou and explore the surrounding islands, such as the Tobago Cays. Guests can even enjoy picking fresh produce from the greenhouse. 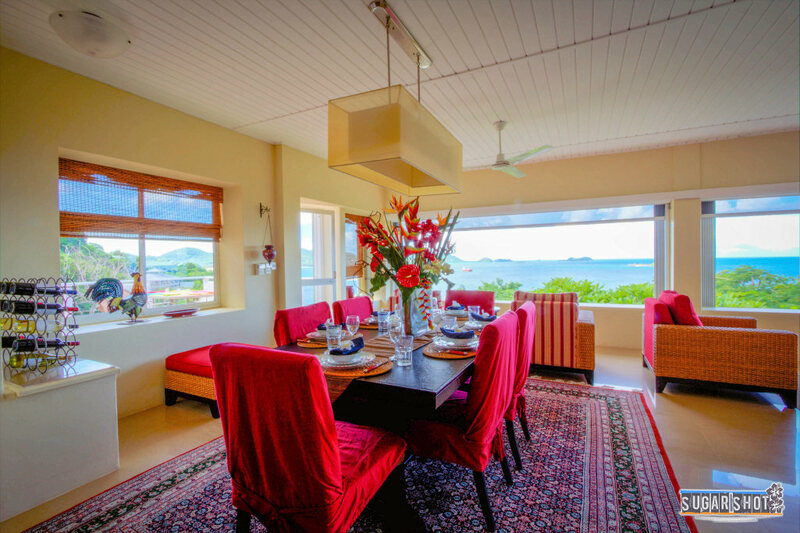 Frangipani-Villa is located 1 mile from town in Craigston Estates and Just a 2 minute walk to either Tom’s Bay or Sparrow Bay to enjoy snorkeling or a refreshing swim in the ocean. You will feel pampered in Frangipani-Villa which is beautifully nestled among tropical foliage and expansive ocean views from every room. 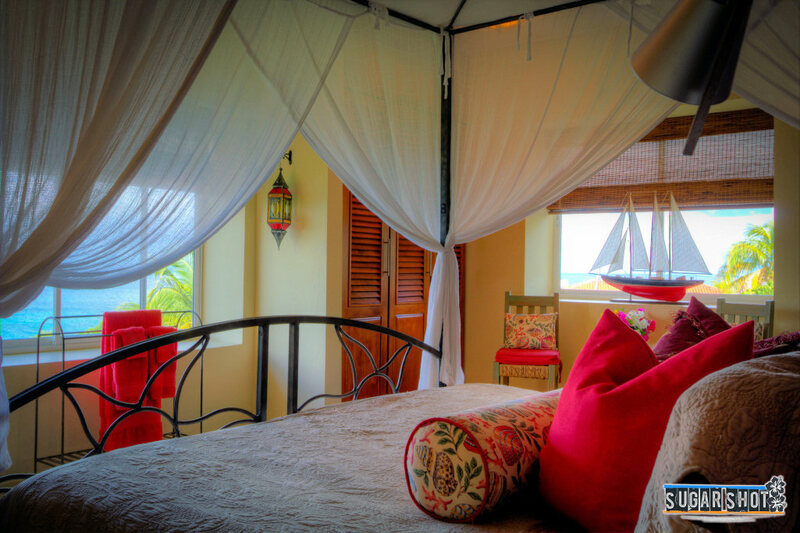 This exquisitely appointed 4,300 sq ft villa to features all the contemporary comforts and custom furnishings. It sleeps up to six persons in the main villa which features three air conditioned bedrooms, two bathrooms & covered patio, pagoda & dipping pool. The master bedroom includes an ensuite bathroom. 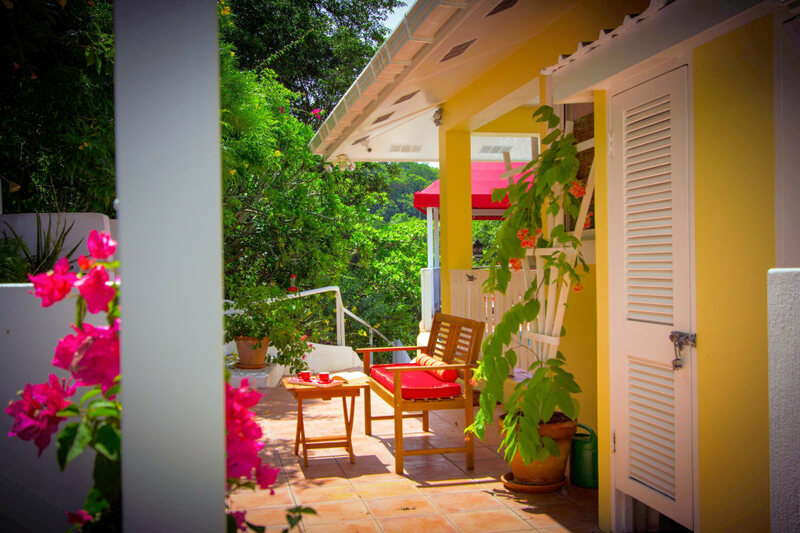 The two ensuite bedrooms, self-contained open plan garden villa with separate kitchen and covered patio with day bed sleeps up to four persons. It is offered in conjunction with the main villa for additional accommodation and privacy. It can also be rented independently.